Kennington Bioscope presents another full weekend of (mostly) silent comedies, once again in association with Kevin Brownlow. Key silent comedy names Buster Keaton, Laurel & Hardy and Charlie Chaplin are augmented by the considerable talents of Charley Chase, Beatrice Lillie, Monty Banks and many more. In addition to Kevin Brownlow, the various programmes will be introduced by noted authorities including David Robinson, Steve Massa and others. Our special guest Roy Hudd will be selecting and discussing classic comedy clips with historian Glenn Mitchell. All silent films will have live accompaniment by our highly acclaimed team of musicians. A silent feature-length comedy starring Raymond Griffith, whose surviving films are few but which delight audiences at festivals around the world (as with his Paths to Paradise (1925) and Hands Up! (1926) at previous KB screenings). Contemporary critics made such comments as `Comedy along all lines from subtle wit, through burlesque to slapstick, and in every style he gets the laughs’ and `The picture is crammed with gags, most of them new’ … and with more than a nod towards Harold Lloyd’s Why Worry? (1923), shown at our comedy weekend last year. We defy anyone to see a connection between the title and the film! Introduced by Kevin Brownlow – who perhaps will explain! 11.30 The British are Coming! Tony Fletcher introduces a selection of 1920s British comedies, including Adrian Brunel’s glorious spoof travelogue Crossing the Great Sagrada (1924), A.A. Milne’s Bookworms (1920) starring Leslie Howard, also Variety legend Leslie Sarony singing a comic song or two in a rare DeForest Phonofilm, one of the pioneering British-made talkies that predate Hitchcock’s Blackmail (1929). Matthew Ross highlights the career of Charley Chase, a brilliant, influential and – at least until relatively recent years – overlooked comedian and director of the 1920s and 1930s. A master of both the sight gag and situational humour, this selection of prime Chase comedies will conclude with one of his funniest silent shorts. 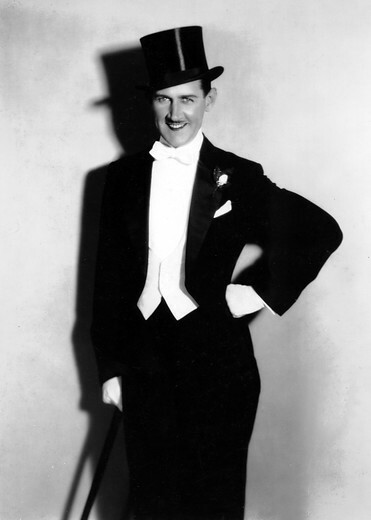 Monty Banks is perhaps best remembered today for having married (and directed) Gracie Fields, something which has unjustly eclipsed his career as a star comedian in shorts and features (his 1927 film Flying Luck opened our comedy day last November). In this, one of his best starring roles, Banks gets involved in tracking down a stolen fortune, his adventures culminating in a whirlwind, gag-filled climax at sea. 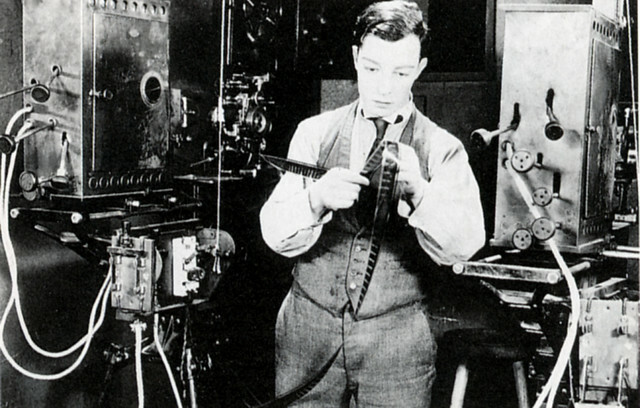 Following our 100th anniversary celebration of Buster Keaton’s film career in last November’s comedy day, we are delighted to present a programme of classic Keaton material. Noted Keaton authors David Robinson, Kevin Brownlow and David Macleod reveal their favourites and researcher Polly Rose illustrates some of her new discoveries about Buster’s 1924 feature Sherlock Jr. Renowned stage comedienne Beatrice Lillie – a Canadian-born British star whose reputation spanned both continents – made regrettably few films. Fortunately one of these is the 1926 MGM feature Exit Smiling, produced and directed by one of Harold Lloyd’s key associates, Sam Taylor. `Bea’ Lillie – as she was often known – plays Violet, the dogsbody for a travelling theatrical troupe who harbours ambitions to act – or, as a title card informs us, has played `Nothing’ in Much Ado About Nothing! A true classic, introduced by Michelle Facey. For more details on the films to be screened, see the programme notes. The Museum’s café and bar will be open throughout the event serving sandwiches, hot pastries, cakes, snacks, alcoholic beverges and hot & cold drinks. The Jamyang Cafe, adjacent to the Museum, will be offering a delicious meals during the festival. We encourage you to pre-book when you purchase your festival ticket so we can have your food ready to go, then you can spend less time in a queue and more time sitting down enjoying your meal and break. You can pre book your dinner when you buy your ticket for the event. You will be given a special voucher on the door when you check in for the festival that you can present at the Jamyang Cafe next door. If you have already bought a ticket for the event and want to pre book a dinner then don’t worry. Weekend Ticket £30 / One Day £18 / After 2pm £12. These are available online from Ticket Tailor.